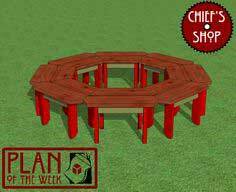 Using exterior treated lumber and one of our simple plans, almost anyone can build a functional seating area that will enhance their yard or garden. Only minimal tools are required, and this is a great project for a beginning woodworker. 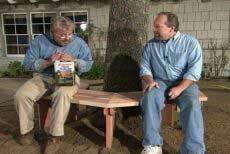 Tree benches are built around mature trees, and you'll need to determine the dimensions for your specific tree. When completed, the seat can be stained or left unpainted. An annual application of wood sealer keeps the bench looking fresh and helps prolong its life. 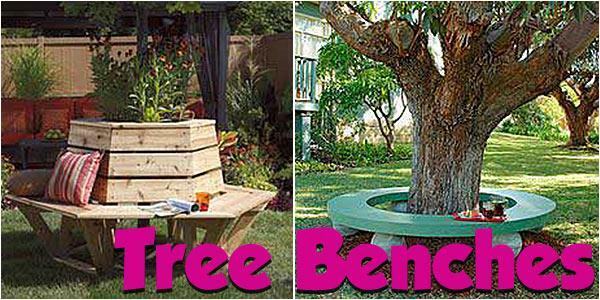 You can even build a tree bench with a backrest for added comfort and style. Now, all you need are a few cushions or pillows, and you'll be ready to spend the afternoon relaxing under the shade of your tree in comfort. 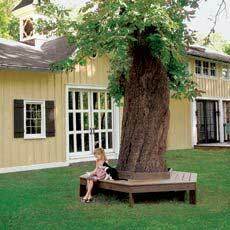 If you're fortunate enough to have trees on your property, consider adding a tree bench to one. 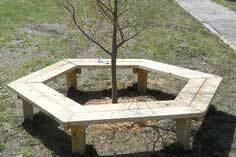 This great collection of tree bench plans includes hexagon, rectangular and circular shapes, so you can choose a design that's perfect for your yard.